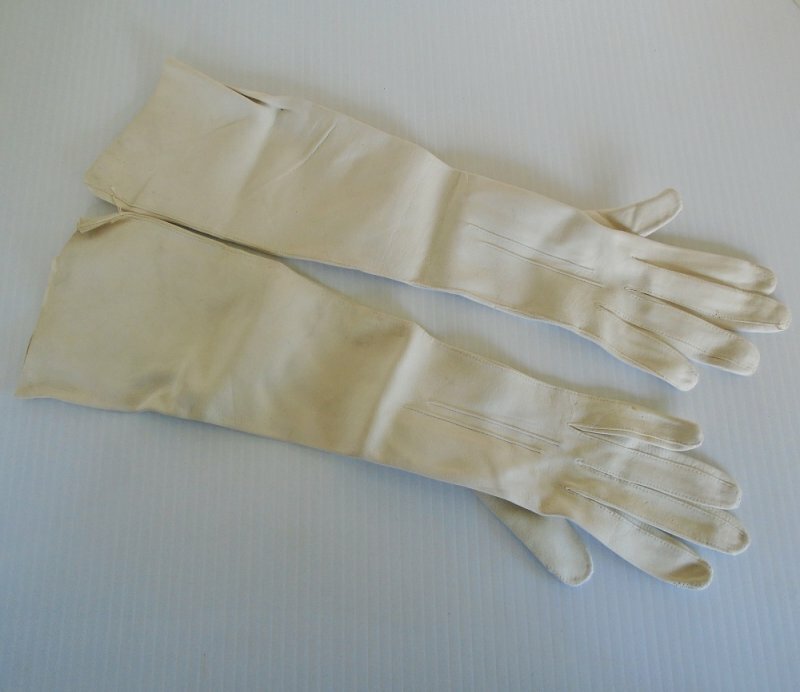 Unused and estimated to be from the 1930s, Garnati Chevreau kid leather evening opera gloves. Size 7. Made in France for I. Magnin upscale stores. 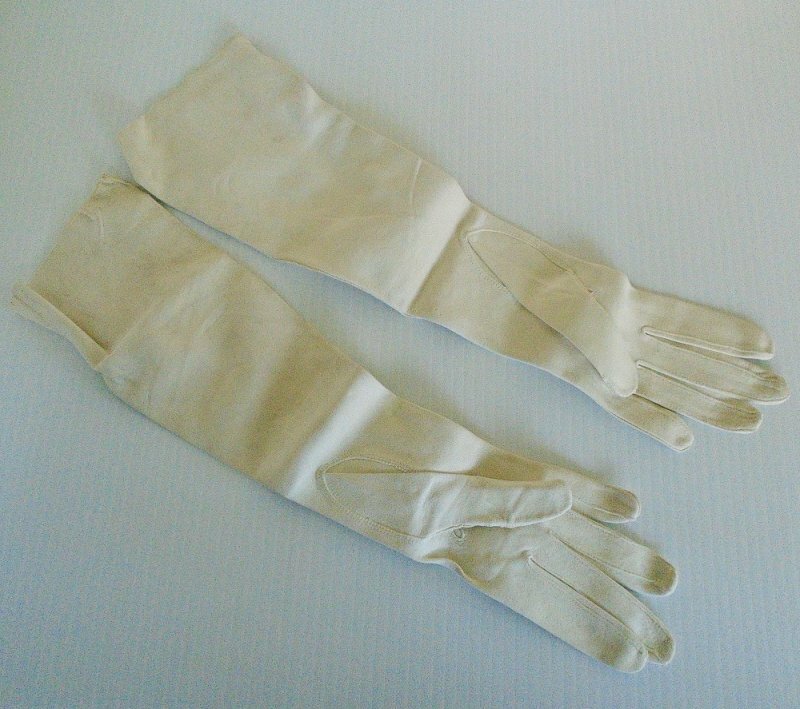 This pair of Garanti Chevreau evening opera gloves are marked inside that they were made in France for I. Magnin & Co. of California. I purchase them at an estate sale and the seller said they were her grandmothers. She said her grandparents were "high society" types, but that her grandfather passed away in 1940 and her grandmother never remarried and became a recluse of sorts. Going by that, we estimate the gloves are probably from the 1930s. They were never used and still have the attachment piece that kept them together when displayed at the store. They are size 7 and measure 15.5 inches long from the end of the middle finger to the opening. They are ivory in color. They are made of a very soft kid leather. The inside is marked "Garanti Chevreau Alexandrine, Made in France for I. Magnin & Co. California. Condition: The only blemish I see is that on the left glove, down from the little finger and in the lower palm area, there are two very small dents. 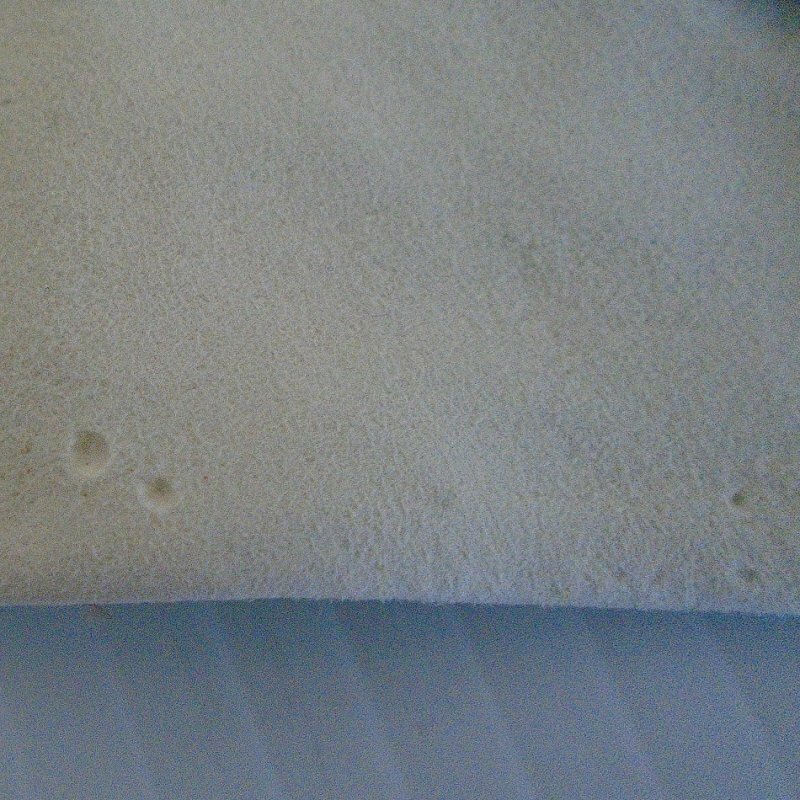 They're not holes, just small dents, so small that I can not give you a measurement on them. I had to zoom in with my camera but I was able to get a photo of the area. (See last photo below). Other than that, there are no rips, tears, or stains. They have been wrapped and sitting in a drawer for many many years, so if anything, they may need to be cleaned and the statement inside does not state if they are washable or not. Delivery will be via Insured USPS First Class Mail from California. Since the insurance is for the protection of us both, I split that cost with the buyer. Buyer to pay delivery charges of $6.45.